Isn’t Tolkien Reading Day every day? Happy Tolkien Reading Day, folks. Held on March 25, this is generally the time each year that I decide to re-read at least one of the novels related to Tolkien's Middle Earth (I normally choose The Hobbit; it has always been my personal favorite). J.R.R. Tolkien is a pretty amazing dude who did a whole lot with his life. He served during the first World War and began to write many of his stories while injured. He studied linguistics and history, both of which inspired his works. "Hey, I get it. I'm not here to learn about some English dude. I want to read about orcs and goblins!" How rude, informal reader. But, alas, let's talk books. Well I am talking. Typing technically. You get it. Never read a drop of Tolkien before? I would start with The Hobbit (1937). The Hobbit is a wonderful story, a fantasy novel written, in a lot of ways, like a historical epic (this trend is always present in Tolkien's work, and I would wager it is the reason his stories are so well done). It is a children's novel primarily, and that lends to its credit. Many of us read it when we were young, and the themes of adventure, excitement, and fear help us remember a time when we also saw the world as Mr. Bilbo Baggins does: frighteningly large and exciting. This book has a soothing quality around it and truly puts me at ease. The characters are all very real, which is essential for a world that isn't. If we can't relate to anyone, why should we care? If someone is the best at everything and has no faults, then I will stop reading. "Uh, what about Gandalf?" you may ask. Oh dear reader, Gandalf has to be great and powerful and mysterious. He alienates us, the readers, to a degree. Also all the wizard really does is set pine cones on fire, so how great is he? The version you buy most anywhere will not be the original. Tolkien edited it when The Lord of the Rings was being made so it fit in with the world (hello retcon). I won't take offense if you duck out now and go read The Hobbit. I am half tempted to. But for those who want something a bit meatier and meant for adult audiences, then how about this little ol' collection called The Lord of the Rings (1954-1955)? Three different books each made up of two parts, it will take a bit to read, but the journey is worth it. "Hey guy, I watched the movies. I know the story." Hey, I hate to be that guy who goes on and on about how the books are better than the movies (I don't hate to be that guy), but that is what I am going to do. The movies had this problem where they had to fit 20 hours of content into a single movie. And they had to make it more exciting for the typical movie-going audience. And while the movie has an amazing soundtrack, wonderful cinematography, and a great cast, there's just some stuff that didn't translate. This is narrated by none other than Samwise Gamgee, who is fascinated by elves but doesn't even know if they are real. Strider goes into it more, but I hope you get the point by now. This one snippet developed multiple characters all at once, in many different ways. We know Strider is even more mysterious and knowledgeable than before, we know Sam wants to believe in something magical about the world, and we know this world is filled with established poems and sad tales. This poem has a beautiful sadness to it, which has stuck with me since the day I read it. And these stories are magical because moments like this happen everywhere. These very real characters, whom we relate to, live and fight and hope and dream, and die, and we feel for them. It feels more real than most fiction because of this. While I do enjoy the movies, this is one of the things it gets wrong (not out of choice I am sure, but necessity. You only have so much time). "Character development isn't plot, Mr. Man" you may say. Well let's assume you are right. I did promise significant plot discrepancies between the films and books. Let's look at one (I don't want to spoil too much if you haven't read the books yet). Generally the same stuff happens, but in different ways. In the film The Return of the King, Aragorn leaves with Legolas and Gimli for no real reason and asks a bunch of ghosts to kill the bad guys in a city. Well ok, maybe I am oversimplifying a tad, however this has stuck with me since I saw the film. Aragon doesn't really deserve this victory; it is given to him. Kings should earn their kingship, birthrights are what the bad guys have. At the end of The Two Towers book, Strider meets some fellow rangers. He, Gimli, Legolas, and the rangers meet some ghosts. Because they are ghosts (you know, incorporeal) and can't really touch stuff, they scare a bunch of Southrons off of their boats, which Strider and co. use to approach Minas Tirith from the back and they liberate the city. They do it. They fight and die and earn the victory. When Strider becomes Aragorn, becoming king, you feel he is the rightful heir and has escaped the curse of Isildur. This is the kind of depth you can only get from reading the book. Wait....you read these four books and you want something else? Well, on the Tolkien nerd flowchart, we now go to two different books: The Silmarillion and Unfinished Tales. These books were never finished. 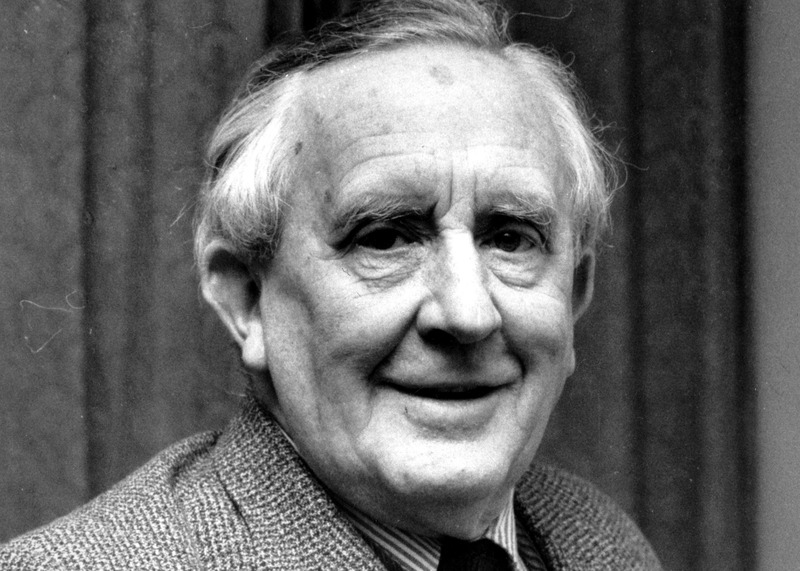 Christopher Tolkien, J.R.R. 's son, edited and published these stories (and most of his other short stories, letters, and poem collections which are also worth looking up). The Silmarillion is a history book, make no mistake. But it is a history book about elves and their related adventures. Many of the scenes added to The Hobbit movies came from The Silmarillion. It goes in to a lot of detail of who Gandalf and the related wizards are and what they do as well. There is so much content I can't even scratch the surface, so I hope that you will take a look. Unfinished Tales is basically a book of short stories and drafts. It is an odd read because going in you know what you are reading will never be finished, but it isn't a bad one. "You can't tell me that he didn't write anything else?!? I read all of this 10 times!" Look, dear reader, I feel you. Sadly, as the elves left for the Grey Havens, our journey is coming to a close. Tolkien has many critical essays written involving old poems and epics. He knew his stuff well, and if you are a fan of Arthurian legends and such, worth a read to see where his inspiration comes from. Many poems and stories here and there involve Middle Earth, as well, but, alas, that will be left for you to find.